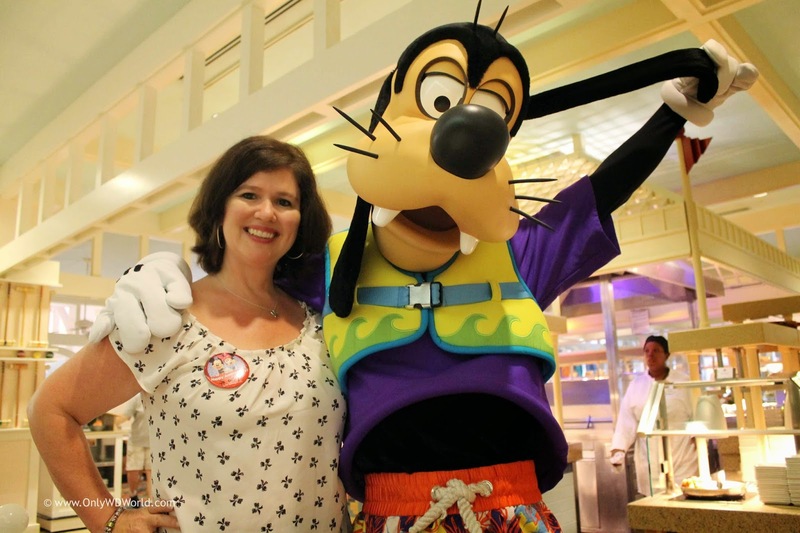 There is always something special about dining at the Walt Disney World Resort when Disney Characters are involved. Young or old, your inner child comes out when Minnie Mouse or Goofy comes to your table to greet you. 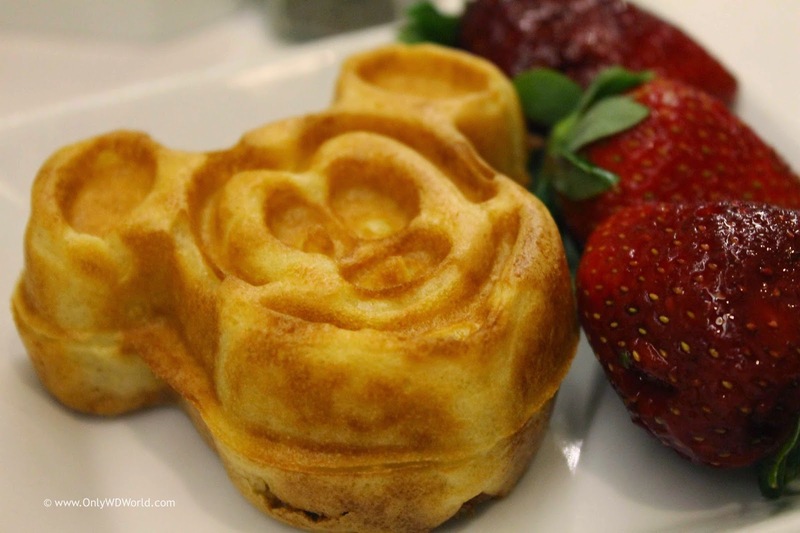 They may even spot you dining on a Mickey Waffle. 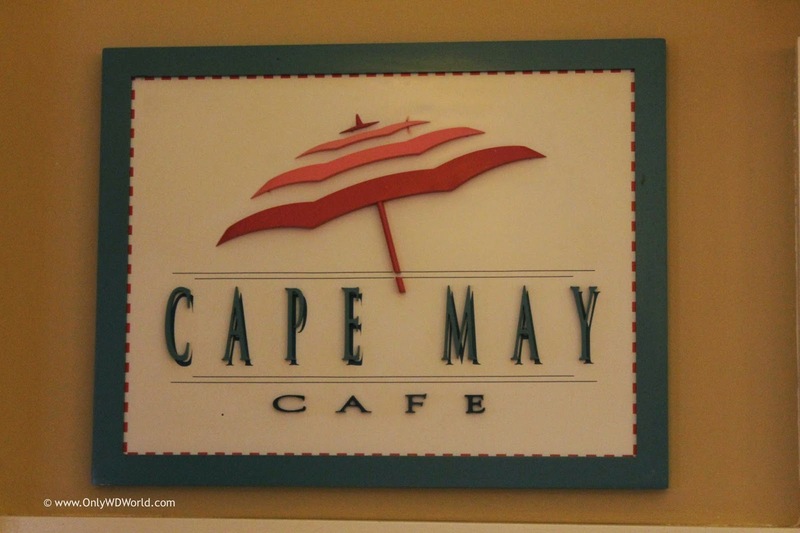 Today we travel to the Beach Club Resort to review the Character Breakfast at Cape May! 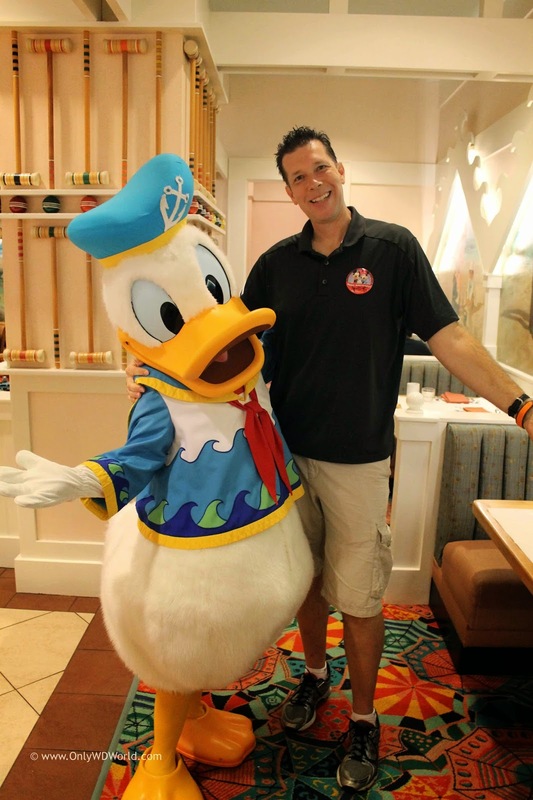 Disney Characters Bring Fun To Any Breakfast! 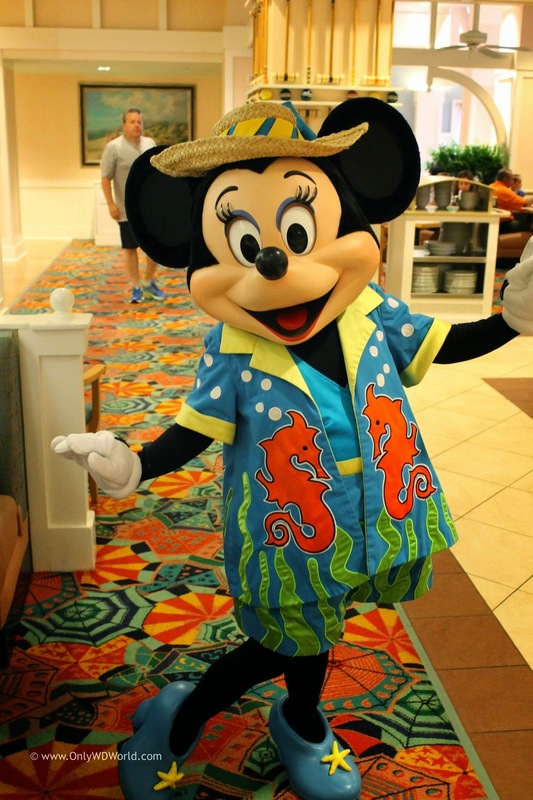 The Character Breakfast at Cape May involves Minnie Mouse, Goofy, and Duck Duck dressed in their Beach attire that is fitting for a meal at the Beach Club Resort. Their colorful outfits and playful attitudes cannot help but get your day off to a great start! You want to make sure to bring a camera with you to breakfast, because these characters love to pose for pictures. They visit each table one at a time, making sure that they visit with everyone during their meal. They will sign autographs and pose for pictures with everyone in your party. They were not rushed. This is certainly the best way to get pictures and autographs with characters for your family. Cape May Breakfast - The Food! Like most Disney World Character meals, the Cape May Character Breakfast is served buffet style. This makes it easy to please everyone in your party and also provide plenty of food for the hungriest of appetites. 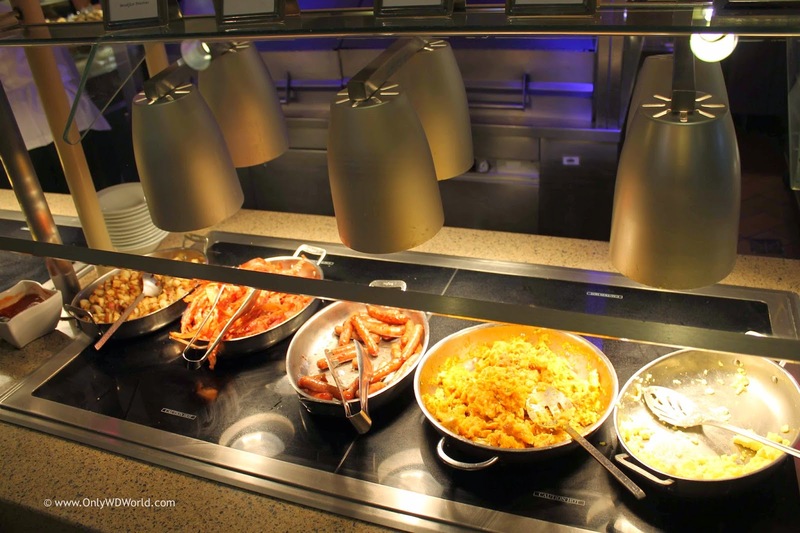 Disney World buffets are better than your average buffet and Cape May is no different. 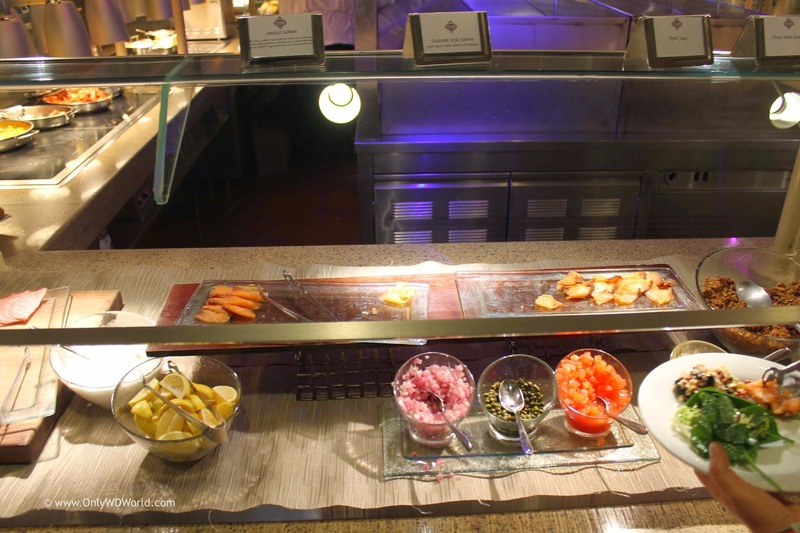 You can find a wide range of choices from the standard breakfast fare to items that you may not expert to see. 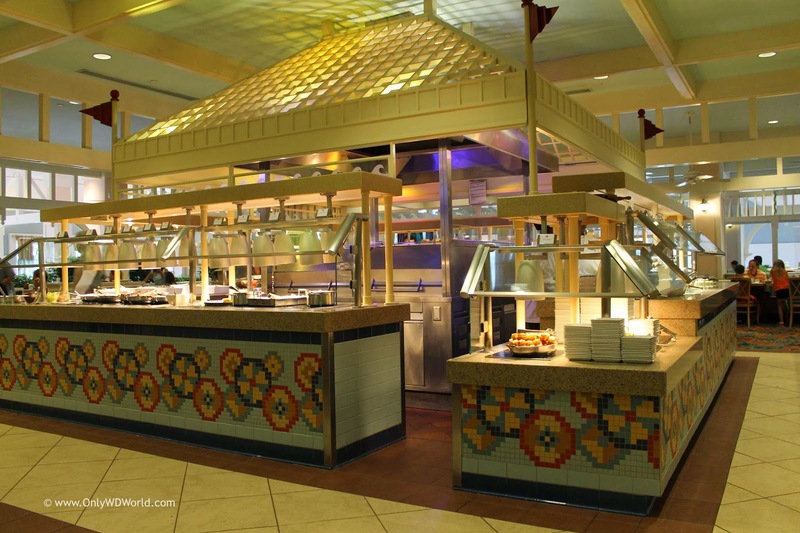 There are four sides to the large buffet area. The first side includes: Fresh Fruit, Yogurt, Steel-cut Oatmeal, House-made Granola, and smoked salmon. 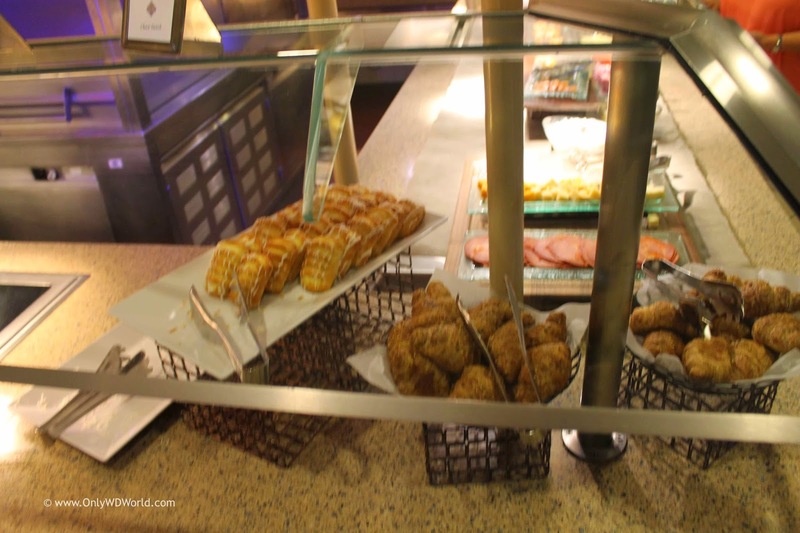 The 2nd side includes typical breakfast items like scrambled eggs, link sausage, bacon, and assorted pastries. 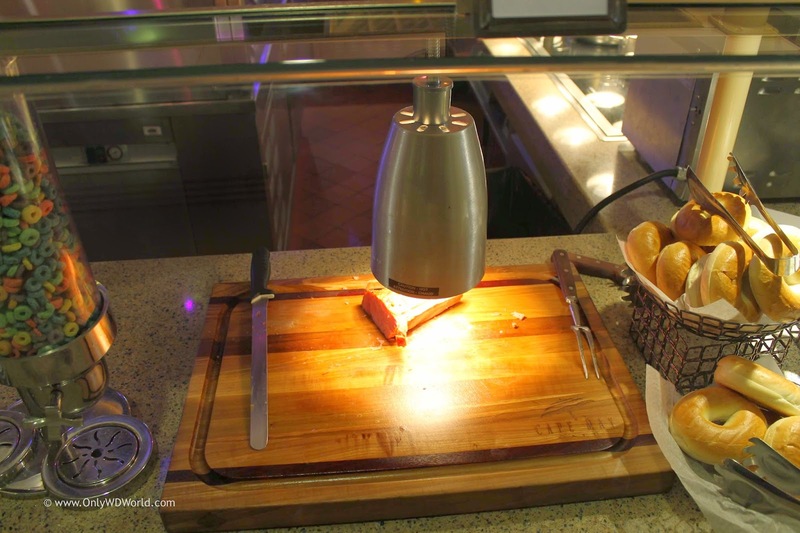 The 3rd side features a carving station that included ham and additional fresh baked items like breads and muffins. The last side features Mickey Waffles and French toast sticks. Disney World Character Meals are about the interaction with the Disney Characters and this meal certainly provides that! 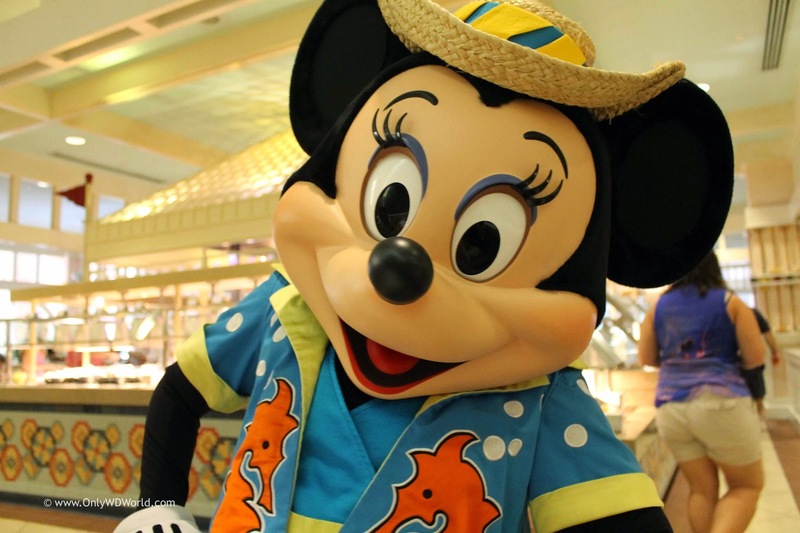 Minnie Mouse, Goofy, and Donald Duck each come to visit your table and interact with you. They will sign autographs, interact, and pose for pictures in a relaxed setting taht did not feel rushed like you may feel in the theme parks. The attire of the characters was appropriate to the theme of the restaurant and they were fun to interact with. The breakfast buffet was certainly above average. 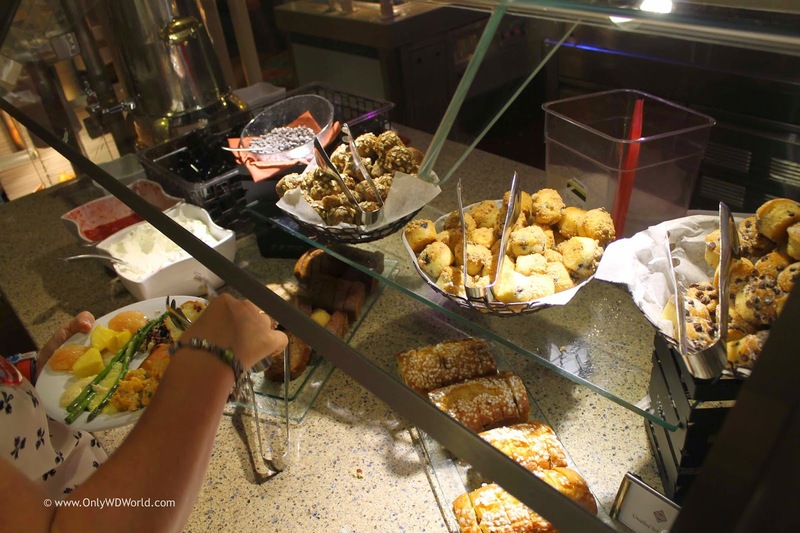 They had breakfast staples that traditionalists will love and other specials like the smoked salmon, house-made granola, and carving station that makes this a great breakfast experience. 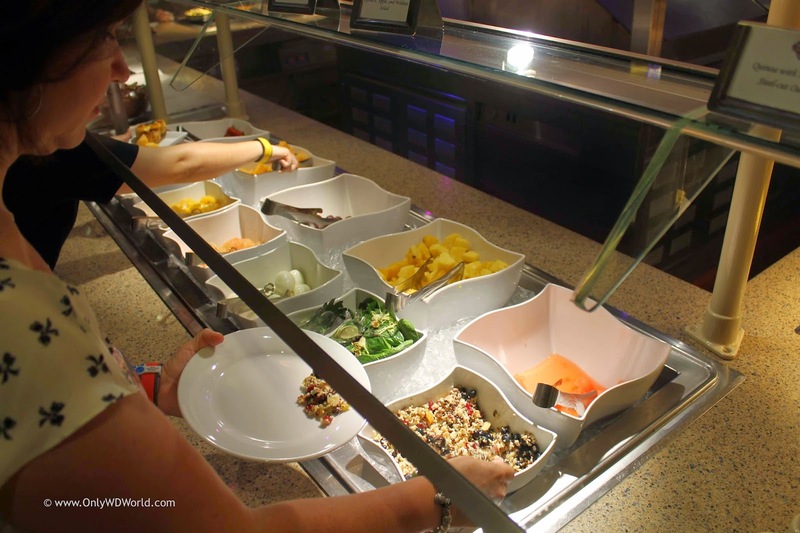 If you are looking for a Disney World Character meal then this is a great choice! We would definitely recommend it without reservation! 0 comments to "Disney World Character Dining: Cape May Breakfast with Goofy, Donald, and Minnie Mouse"